Paizo has delivered Occult Adventures and now they’ve announced both Strange Aeons and Horror Adventures. Well, we can’t let Pathfinder have all the fun. 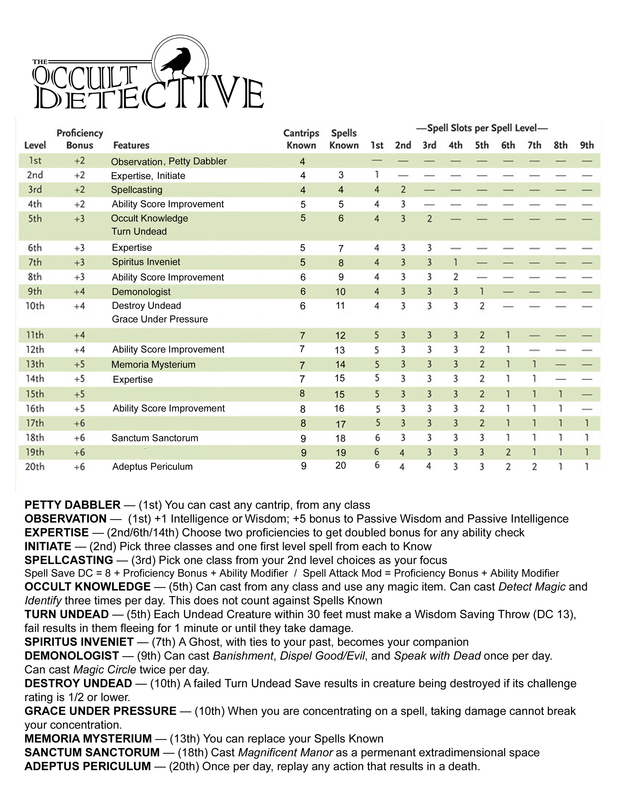 If you fancy playing an Occult Detective in your Dungeons and Dragons 5th Edition Campaigns, here’s a little something I homebrewed back in October of last year. It has a few warts, but it’s a fun take on a classic trope. 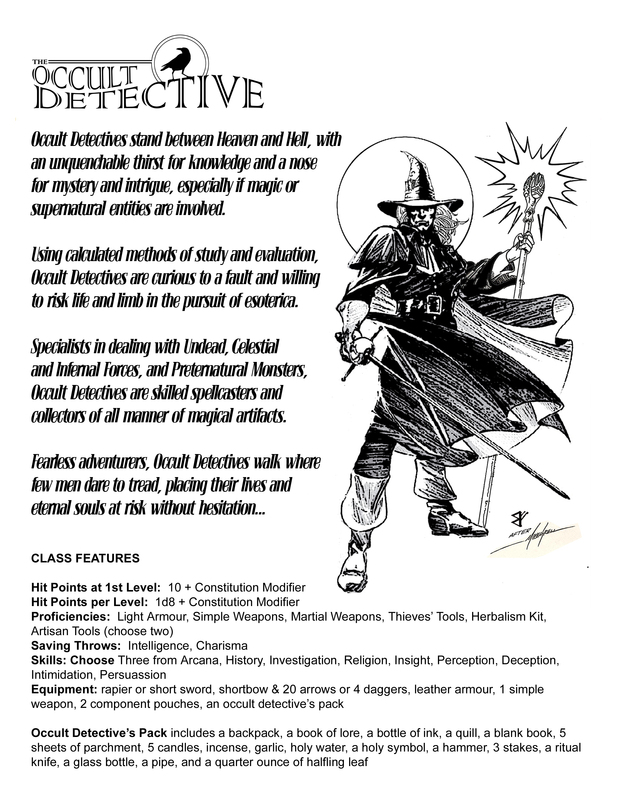 This entry was posted in Dungeons & Dragons, Pathfinder and tagged Dungeons & Dragons, Horror Adventures, Occult Adventures, Occult Detectives, Pathfinder, Strange Aeons. Bookmark the permalink. LOVE this character. One of my favorites, and I’ve been playing for over 30 years.